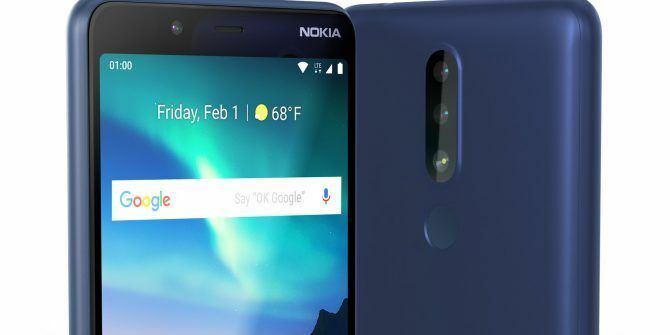 It looks like Nokia phones are finally going to be available in the United States thanks to HMD Global and wireless carriers Cricket and Verizon. Two models are set to release later this month, so Nokia fans won’t have to wait too long to get their hands on the Nokia 3.1 Plus and the Nokia 2 V.
And best of all, they’re both budget-friendly phones, so you won’t need to break the bank to get your hands on one! Starting with the higher-end Nokia 3.1 Plus, buyers will find an impressive 5.99-inch screen with an 18:9 aspect ratio. It comes with a beefy 3500mAh battery that should last around two days before needing a charge. It’s powered by a Qualcomm Snapdragon 439 processor, which is pretty solid for a budget phone. It’ll have 2GB of RAM and 32GB of storage, which is pretty standard for a cheaper phone. The Nokia 2, which will be called the Nokia 2 V in the US comes with a 5.5-inch HD screen. Its main selling point, outside of being cheap, is the giant 4,000mAh battery that will be able to run for an extended period before needing a charge. It comes with a Qualcomm Snapdragon 425 processor, which is pretty modest. However, it should be powerful enough for budget smartphone shoppers. It only comes with 8GB of storage out-of-the-box but has support for MicroSD cards up to 128GB. The Nokia 3.1 will be available from Cricket Wireless starting on January 25, 2019, for a very reasonable $159.99. The Nokia 2 V, will be available through Verizon on January 31, and HMD Global didn’t announce a price for that device just yet. However, the entry level phone is listed for $99 elsewhere. In a press release, Florian Seiche, Chief Executive Officer of HMD Global commented on the releases and Nokia’s plans for the future in North America. We are extremely excited and committed to build long-term strategic partnerships with the leading carriers in North America. Our Nokia phone promise is distinct and built on consumer insight – European design and craftsmanship, excellent quality, latest Android and purposeful innovation that enhances your everyday user experience. We want consumers in North America to love and trust their Nokia phones. It sounds like these won’t be the last Nokia smartphones to make their way to North America, as the company appears to have big plans going forward. Tim Cook Reveals How to Beat iPhone AddictionWhat Is a Blue Light Filter and Which App Works Best?